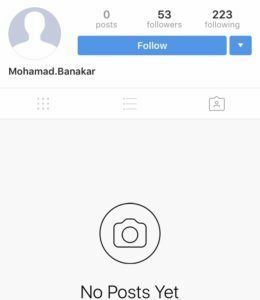 Is your Instagram account invaded with fake followers and inactive users? Want to do a little cleaning and get rid of them once and for all? Removing fake followers is simple – if you know how to do it. The reason you want followers is to impact them, get them to spread your message, engage and interact with you… and then ultimately buy from you. Fake followers are not only bad for brands but also for influencers who want to partner with brands. Some people tend to believe that the more followers they have, they more brands want to work with them, and the more they’ll get paid, but that’s not the case anymore. Since low-engagement and fake followers have become a well-known issue, brands are getting more cautious with who they work with. This means they’ll also look at your engagement before partnering with you, and if your engagement is low, they’ll recognize it and run the other way. In this article, we’ll take a look at how you can get rid of fake followers. The first step to removing and deleting fake followers is identifying them. Now, there are two ways to do this. The first way is to go through your followers one-by-one manually, however, this can be an extremely tedious and time-consuming task if you have plenty of followers. This is the ultimate manual method which demands you to use your hands and get them filthy. The other method is to use tools. You know me, so I’ll, of course, go through them both! If you are to do it the good old fashioned way, you first need to identify the fake accounts who are following you. 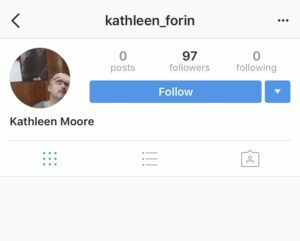 For the untrained eye, it’s nearly impossible to distinguish a fake account from a real one, but thankfully, there are some ways you can recognize them. 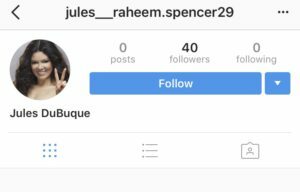 For a full-on guide to identifying fake followers, read: How to spot someone with fake followers on Instagram. Considering the fact that fake followers are just that: fake, their profile pictures are often off in some way. Because the reality is, they aren’t even human! Most fake followers don’t have a profile picture. However, if they do, it’s often a photo of a boy or a girl. Of course, it’s impossible to distinguish a fake account by just knowing that they don’t have a profile picture because there are plenty of users who are completely genuine but still don’t have a profile picture. To know for sure, we need more data. Most fake followers have a moderate follower count, where most of them have posted less than 10 photos. There are also plenty of bots who don’t even bother to post one image.making their account look like the one above; an abandoned, haunted house. This makes their account look like the one above; an abandoned haunted house. Okay, not really, but it sure looks abandoned, to say the least. Since fake accounts are normally created by services who sell followers, they create accounts for one purpose, and one purpose only = to follow the people who buy followers. Simple! However, that does not mean the fake user only follows the people who are buying followers. In fact, they are often going on a follow spree, following a bunch of random users. Chances are, you’ve come in their way more than a few times. And most users have! Leading you to build up fake followers. 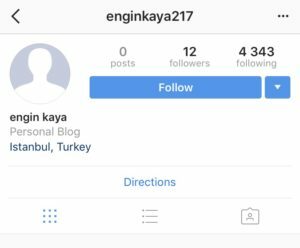 The maximum number of users you can follow on Instagram is 7500, and of course, those who are creating the fake accounts want the most out of their money, thus, most fake accounts/bots have a following count in the thousands. Fake accounts normally share 10-20 posts, all of which are posted over a short period of time, making it extremely easy to distinguish them. With only a few of these factors in mind, you can quickly spot a fake user. Fake accounts barely put any effort into writing a bio. However, if they do, it’s very strange and not the way a real person would write it. Now that you have learned how to spot them, it’s time to get rid of them. There are two ways to get rid of the fake followers. 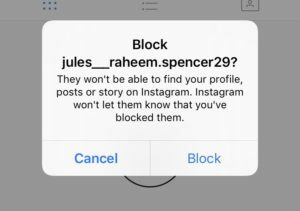 Either you can block them, or, you can report the accounts to Instagram. In that way, Instagram will block the account for you. 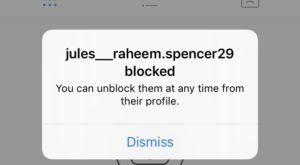 To block a user, go to their profile. Tap the symbol in the top-right corner of their profile. That was the manual way of identifying and removing fake followers. As you could see, it is a tedious process that demands a lot of work. Firstly you need to identify, then block them one by one. Well, glad you said that. Because there is! Most tools only need a few minutes, or even seconds (depending on how many followers you have) to scan your followers and present you with a list of those that are fake. Then, you can let the tool remove the fake followers, meaning, you practically don’t have to do a thing. 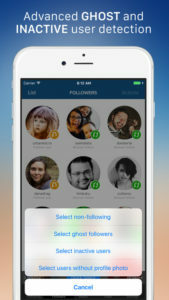 Cleaner is an app that lets you block ghost or inactive followers, (among much more features). The app identifies fake followers for you, and can then block and remove them from your account. My Ghost followers will look at your followers’ actions to see if they interact with your page. If they don’t: it’s a sign of ghost or inactive followers. While more followers can be appealing, inactive followers are something that nobody really wants. Fake followers lead to a low engagement which turns a lot of people off. Identify and remove your existing bot, fake, or inactive followers to leave room for those who really matter and engage with you. Are you struggling with a bunch of fake followers? Do you have any secret tips to identifying and removing them? Or do you just don’t care?